HTC VIVE® celebrates “VIVE Day”, the third anniversary of VIVE’s commercial launch, with the release of Viveport Video. Viveport Video is coming to major PC-VR hardware platforms, in addition to VIVE Wave devices, and showcases a broad range of content in an immersive and intuitive VR setting. To further celebrate VIVE Day, Viveport Infinity members can redeem five free titles from VIVE Studios and take advantage of other great deals available through this weekend. Viveport Video provides access to a growing library of 2D, 180 and 360-degree videos in a native VR environment. Available as a free download on Viveport, Steam, and soon on the Oculus store, the new offering gives PC VR and VIVE WaveTM powered headsets the ability to access premium and free media content optimized for VR. A Viveport Infinity membership will provide access to select premium content in addition to the collection of free videos available to all. Viewers can experience unique video content from their favorite sports such as Major League Baseball, Red Bull TV, and McLaren Racing. Meanwhile, music fans can enjoy popular music videos and concert footage of their favorite artists from Red Bull Records, 1Culture and Ceek VR. Cinematic and TV experiences like Everest: the VR Film Experience, Dark Corner and FRONTLINE PBS round out Viveport Video’s offering as it continues to expand, providing some of the most compelling 2D and 360 content available in VR. 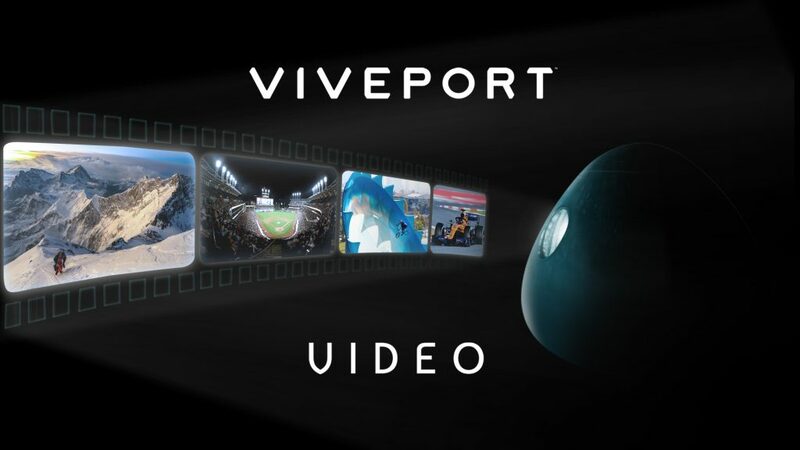 Powered by Secret Location’s Vusr Publisher, Viveport Video is now available as a free download on ViveportTM and Steam. New users can try a two-week free trial of Viveport Infinity, Viveport’s unlimited subscription service, and access the exclusive premium content on Viveport Video in addition to over 600 VR apps and games.